Mercola.com has a very good article on “green” household cleaners–and why the ones you buy at the store (even those that claim to be “green” or that you get from the health food store) may actually be no safer for you or your pet than the other toxic brews on store shelves. 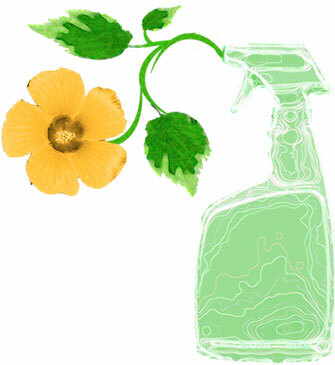 Commercial cleaning products, even “green” ones like Simple Green, clean faster than soap and water can. But this is because they contain small amounts of the most powerful grease-cutting class of chemicals known — glycol ethers. major corporations are only green in name, as you will soon discover. 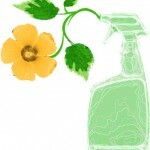 Why “Green” Cleaning Products May NOT Necessarily be Green! Unfortunately, the terms “green” and “natural” are nothing more than marketing terms; they’re not rigid well accepted scientific terms, and they do not automatically equate to safety. This shouldn’t come as a surprise to anyone who is even slightly familiar with how multinational corporations use marketing to manipulate the image of their products. I always advocate reading the labels on the foods and cleaning products you buy, but in the case of household cleaners even the most meticulous eye for labels won’t get you very far. Household goods are still very much an unregulated market. And, cleaning product manufacturers — even those that claim to be “green” — are not required by law to disclose all of their ingredients on their labels. So while it’s still better to read the label than not, be aware that a lack of ingredient on a label doesn’t necessarily mean it’s not in the product! I am pleased to announce that I have been able to develop a product that cleans your clothes just as good as conventional laundry detergent, but uses plant and vegetable enzymes to get the job done.For the past four years I have been researching a safe alternative to conventional laundry detergents that are typically chocked full of perfumes, solvents and bleaches that don’t belong anywhere near your skin. This article was brought to you by Dr. Mercola. Founder of the world’s #1 natural health site, he gives you the low-down on cholesterol. Discover why you actually need Cholesterol in this FREE report.